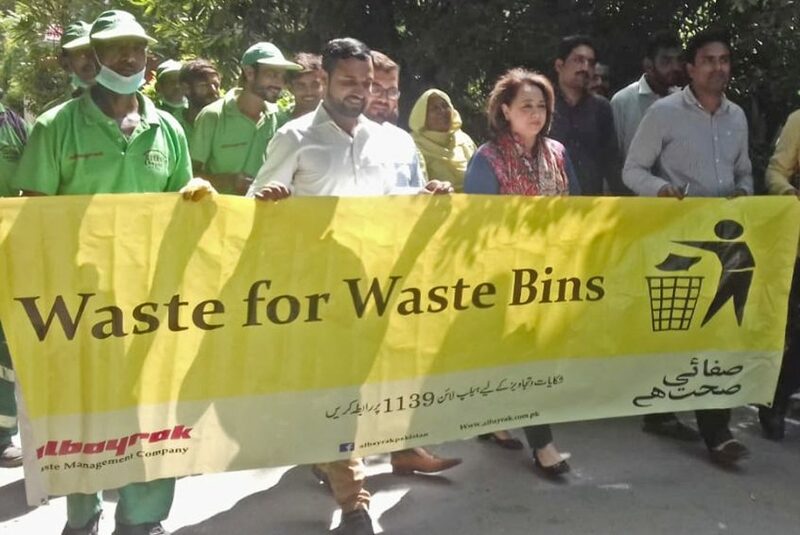 Lahore: Albayrak Waste Management on Tuesday, conducted a cleanliness and advocacy drive in Gulberg to advocate the message of cleanliness and to discourage littering habits among the residents. Albayrak team established an awareness camp where awareness literature was distributed among the visitors. They were also requested to avoid littering in their surroundings in order to ensure clean and green Lahore. Prior to the activity, special cleanup operation was carried out in the union council. An awareness walk was also arranged in which Albayrak officials, Gulberg residents and sanitary staff participated.